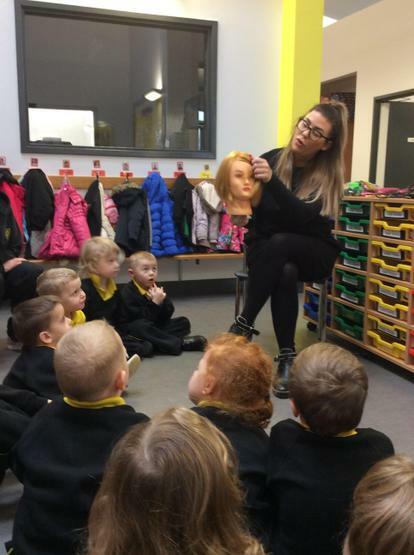 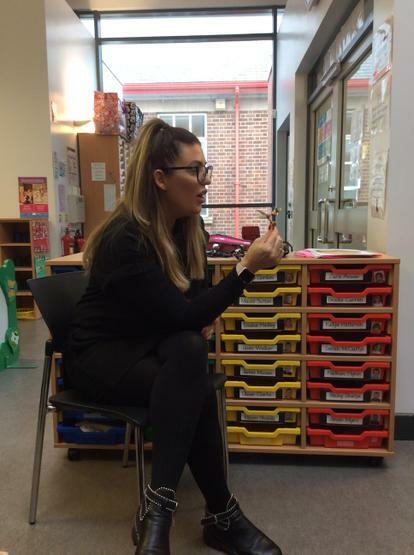 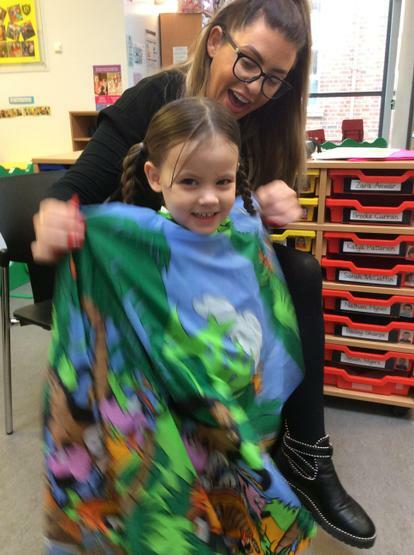 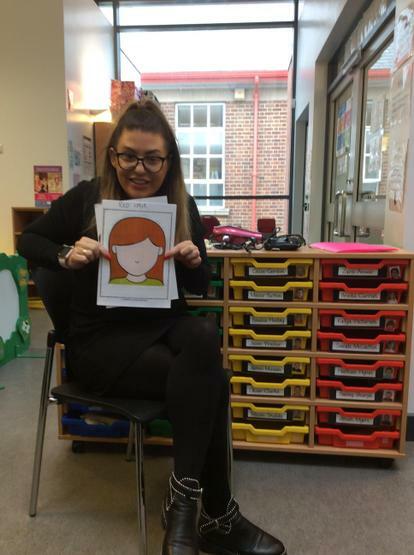 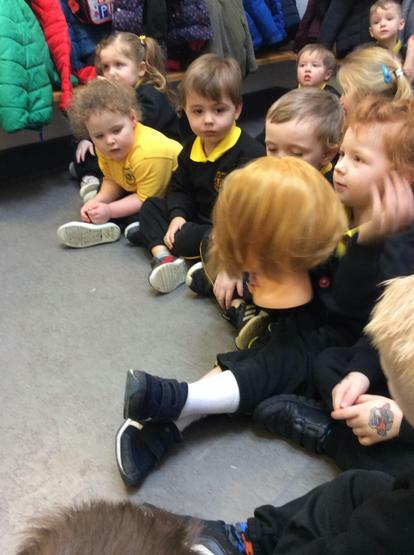 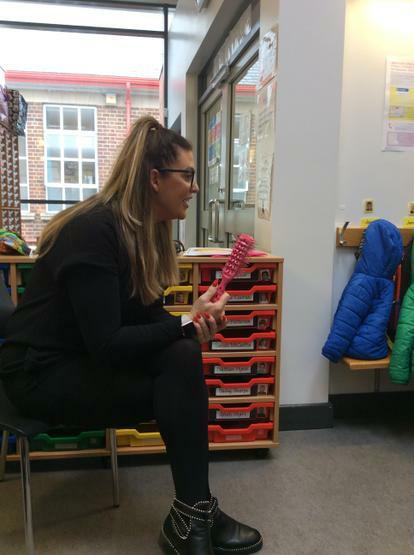 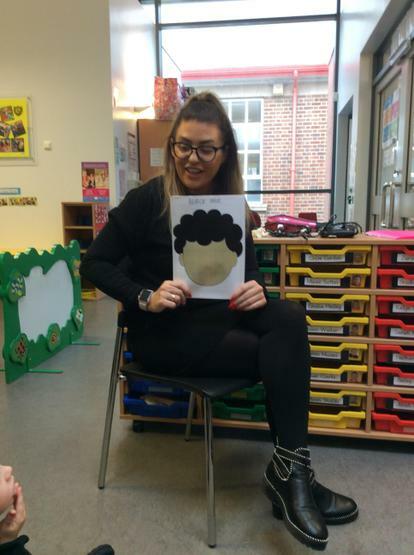 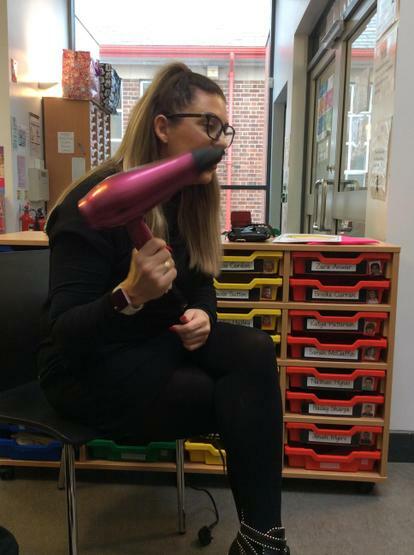 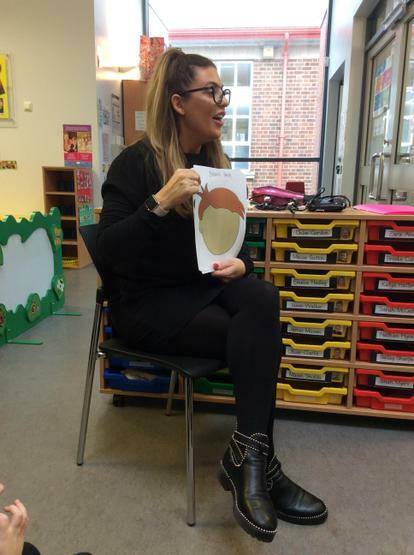 Sienna’s mummy came in to Nursery to talk to us about her job as a hairdresser. 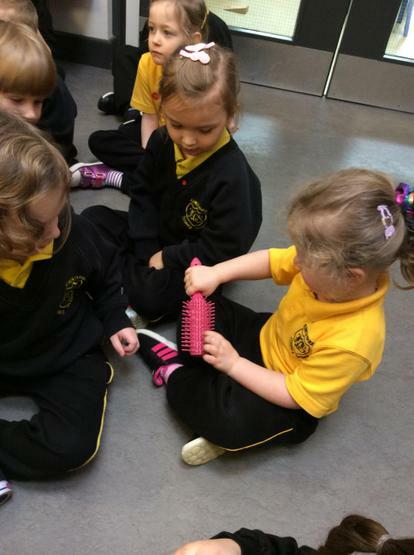 She showed us some of the different tools she uses and we got to touch and feel some of them! 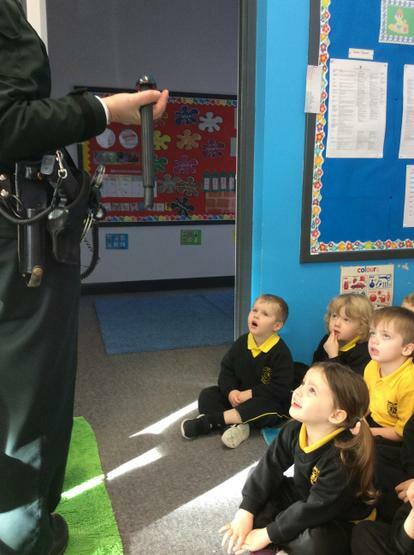 We loved hearing about her job! 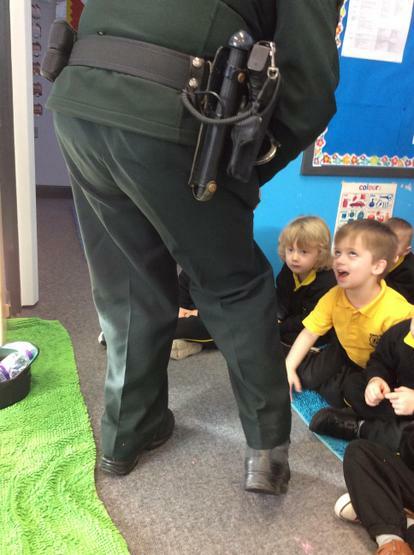 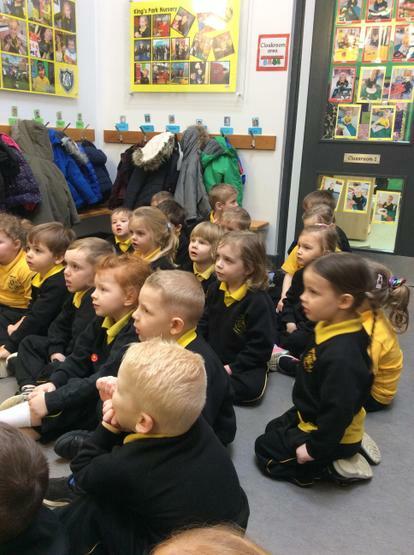 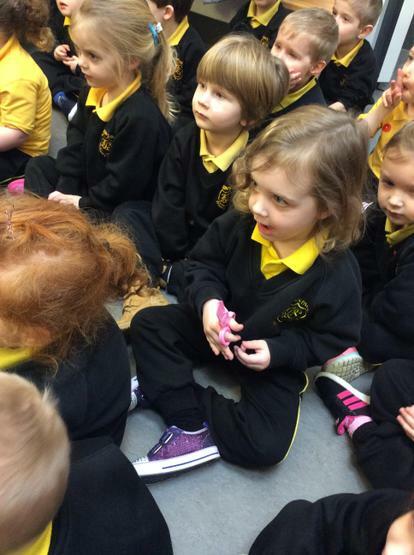 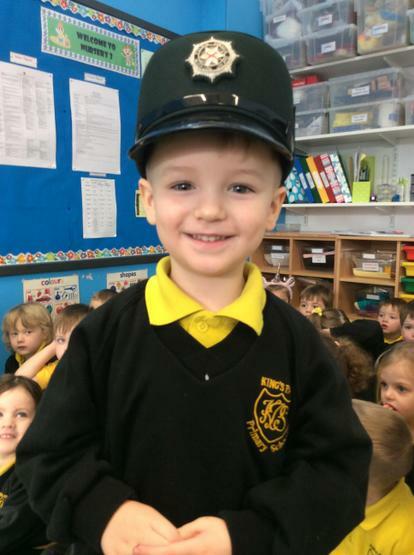 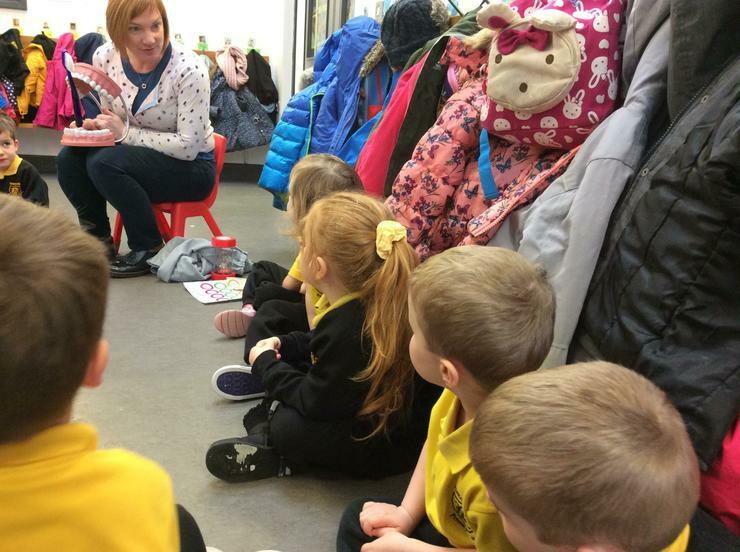 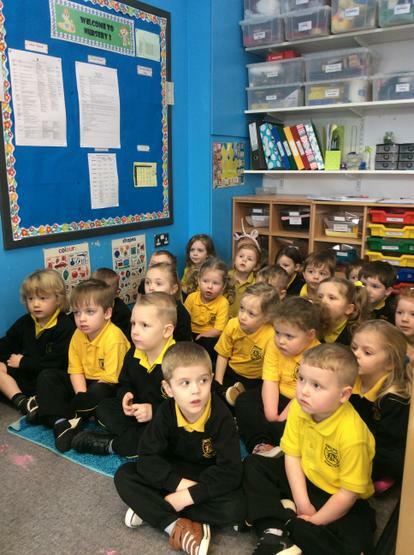 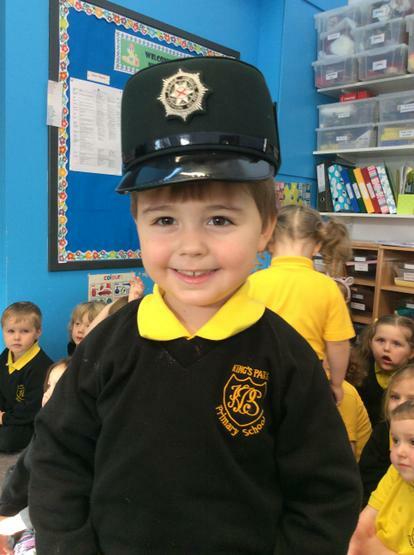 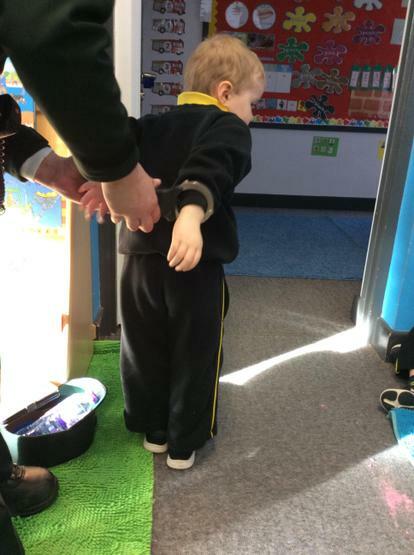 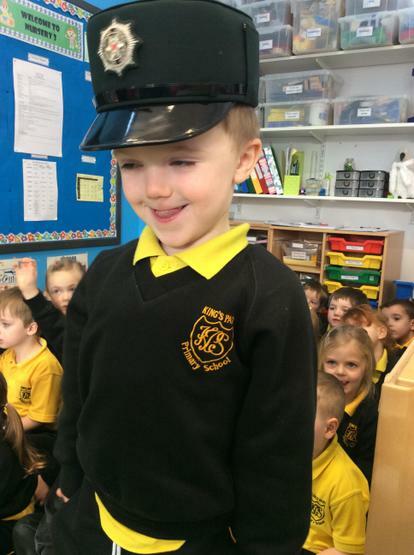 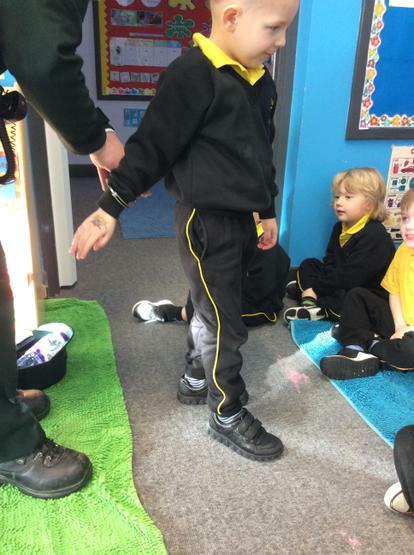 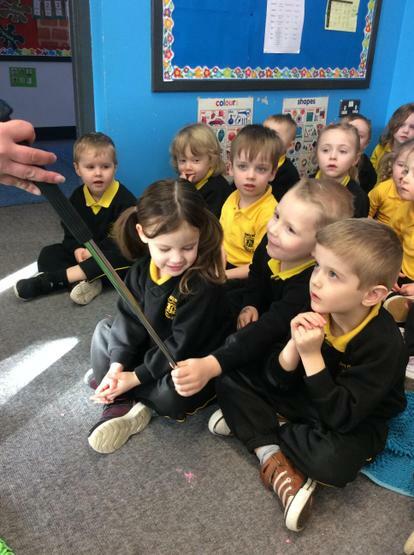 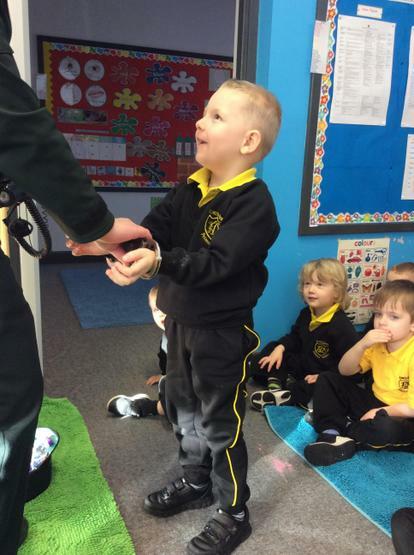 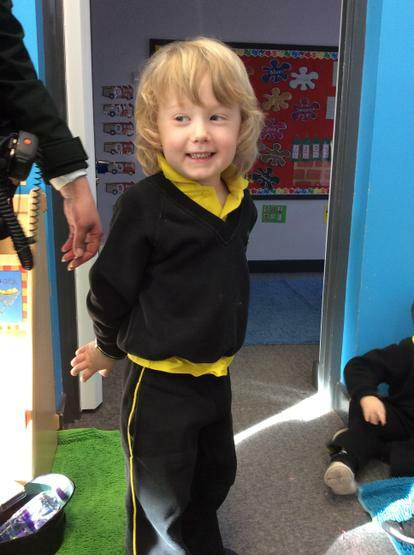 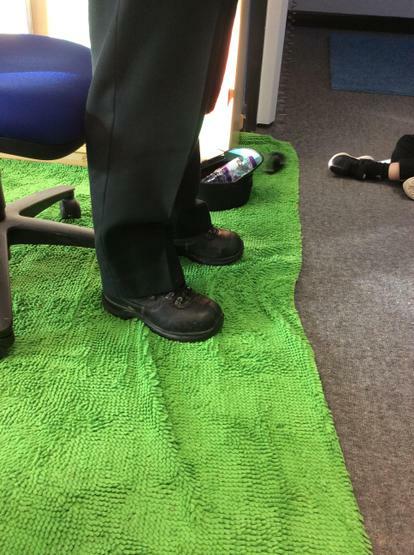 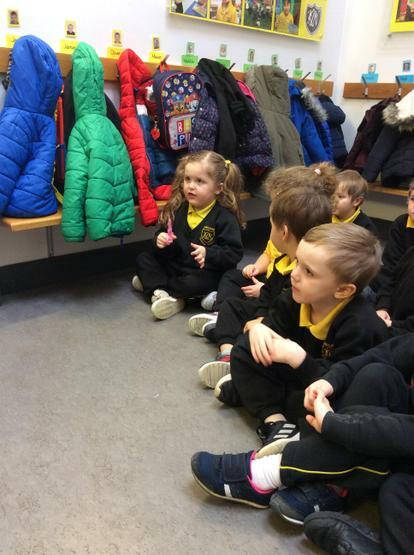 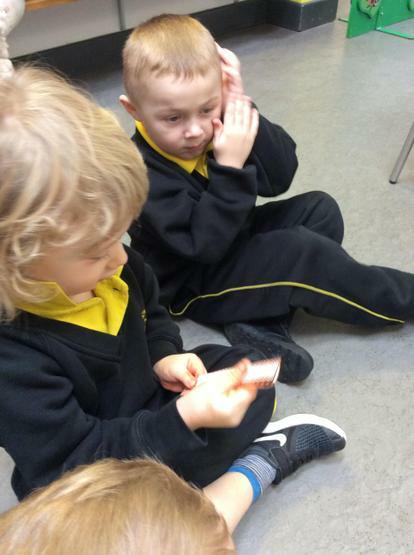 A police officer from Lurgan Police Station came to visit us in Nursery. 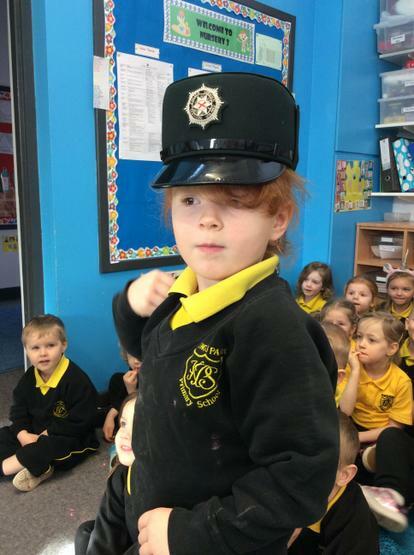 She talked to us about her job and how the police help to keep us safe. 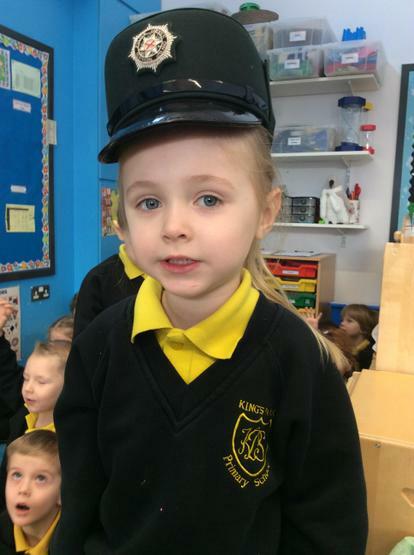 She explained to us about the importance of wearing our seatbelts in the car and also about not talking to strangers. 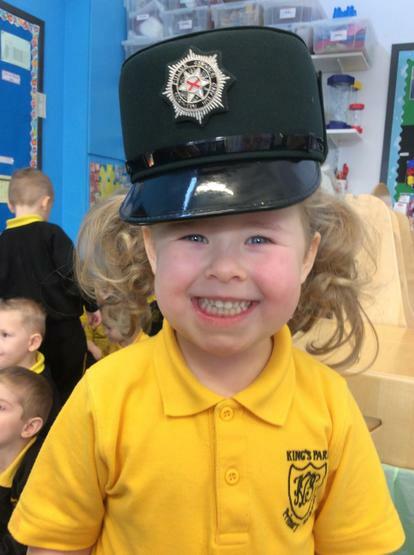 She then talked to us about her uniform and the special tools and equipment she uses each day. 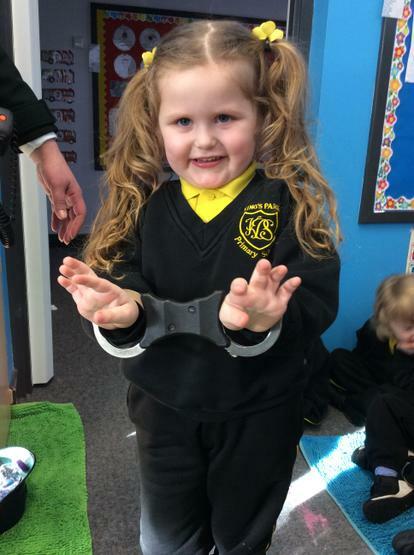 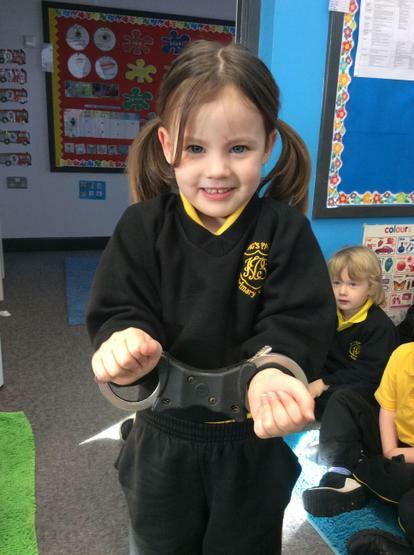 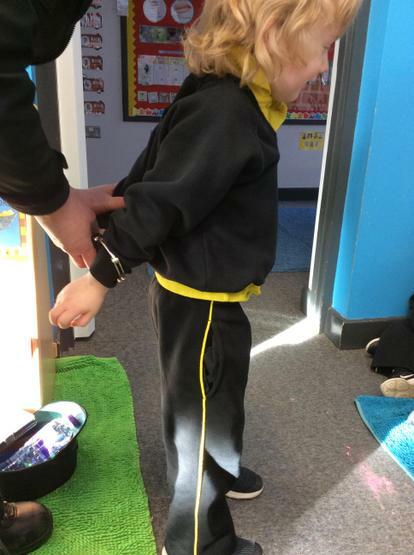 We enjoyed trying on her hat and also her handcuffs! 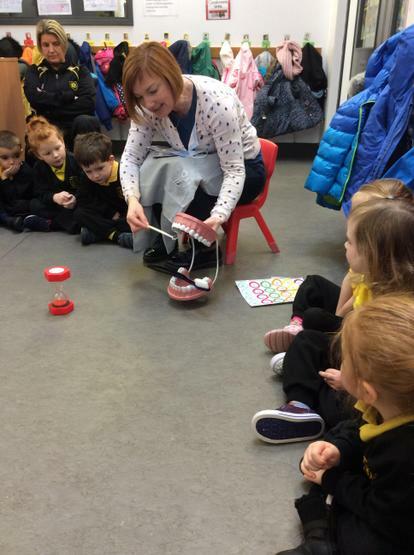 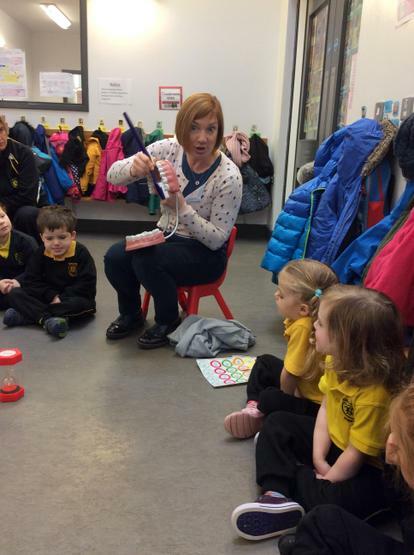 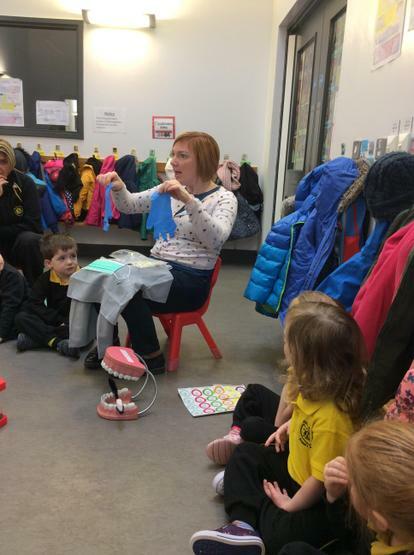 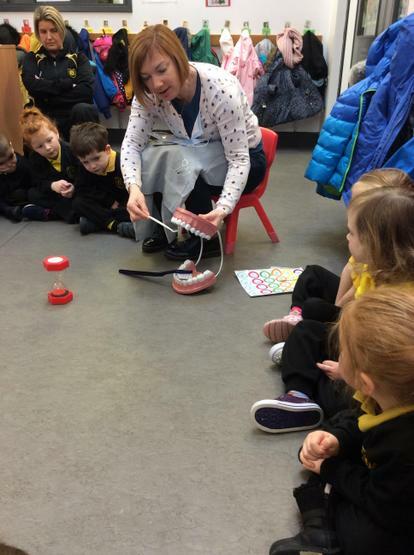 We really enjoyed our visit from the dental nurse. 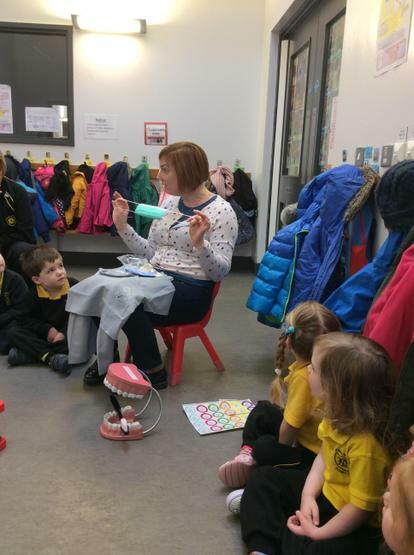 She talked to us about the importance of brushing our teeth twice a day to help keep our teeth and gums healthy. 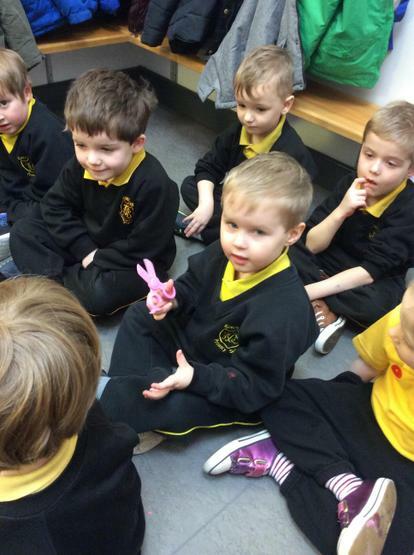 She showed us how to brush our teeth and she even left each of us a toothbrush! 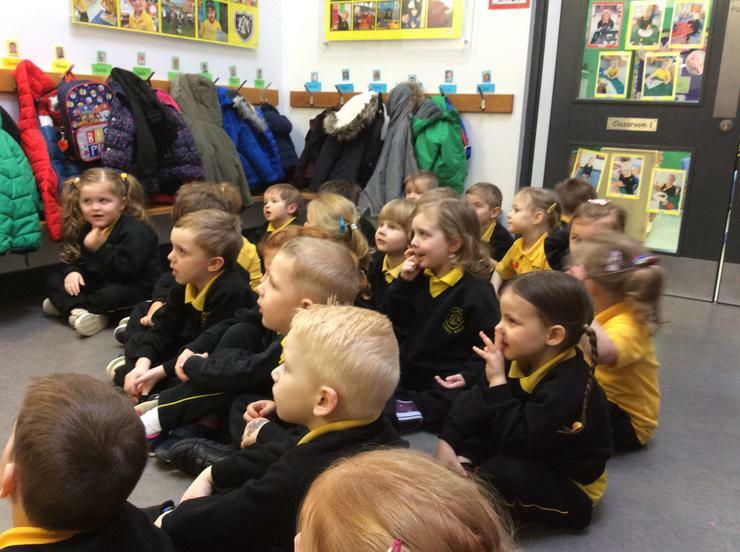 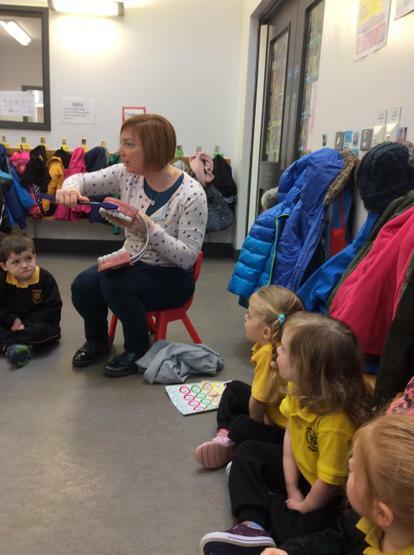 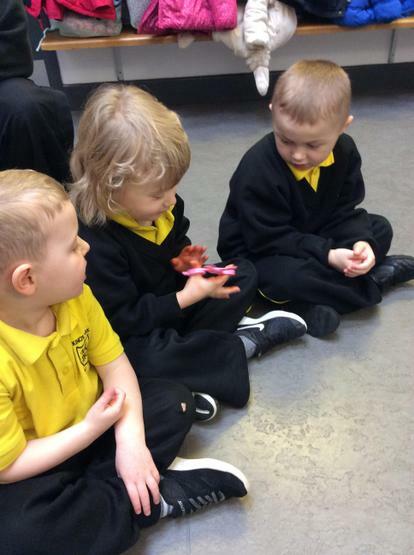 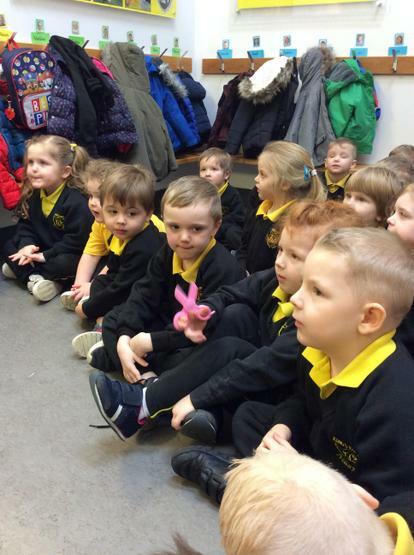 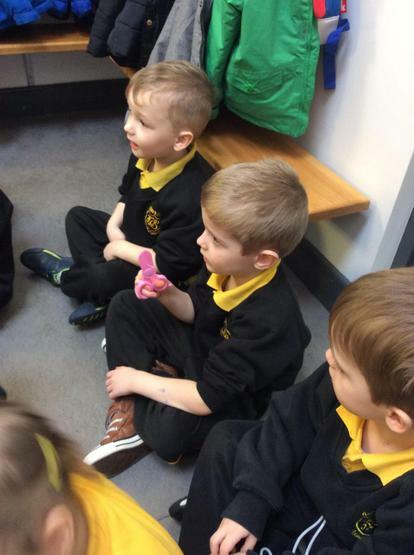 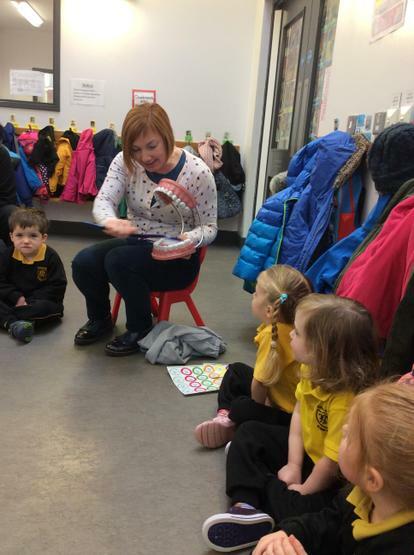 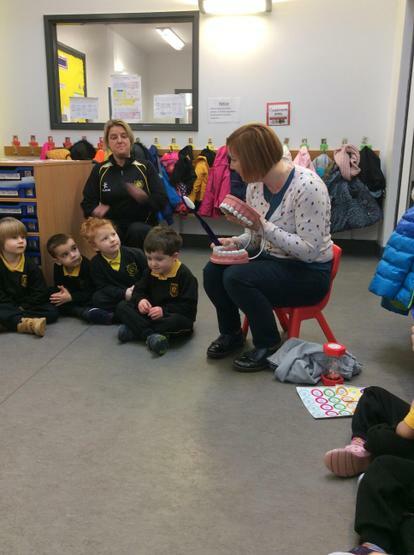 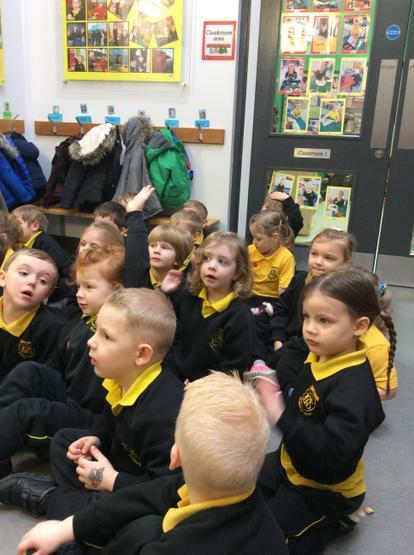 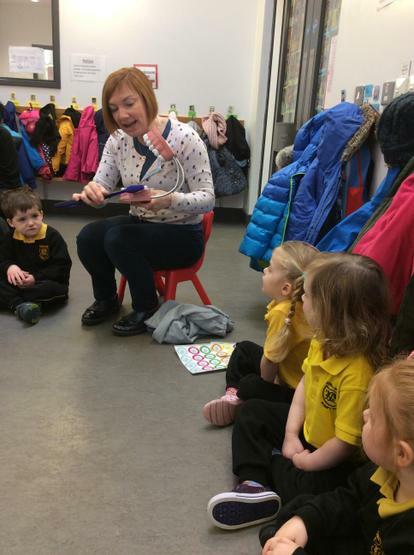 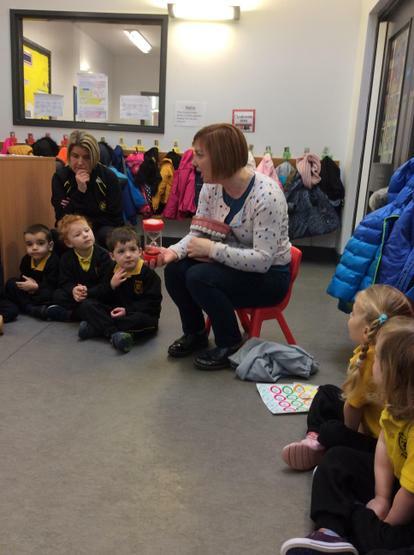 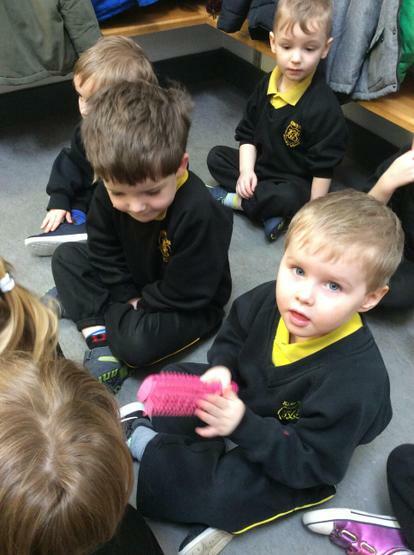 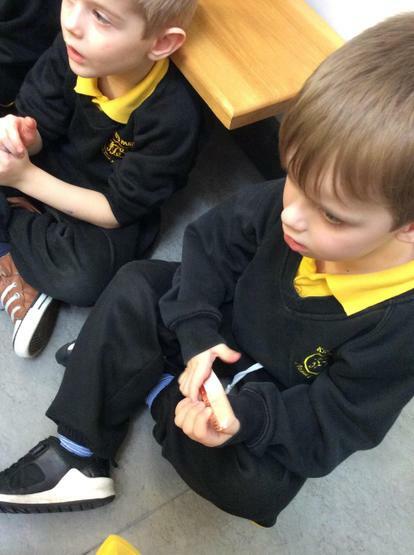 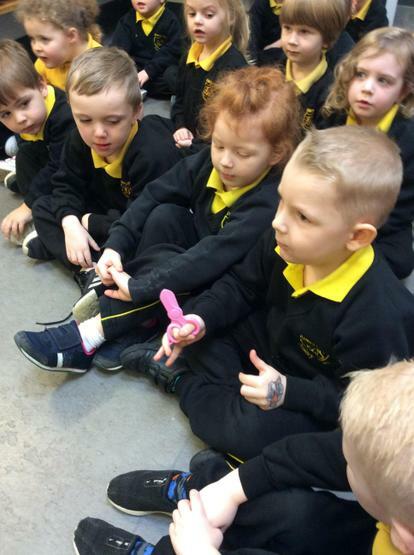 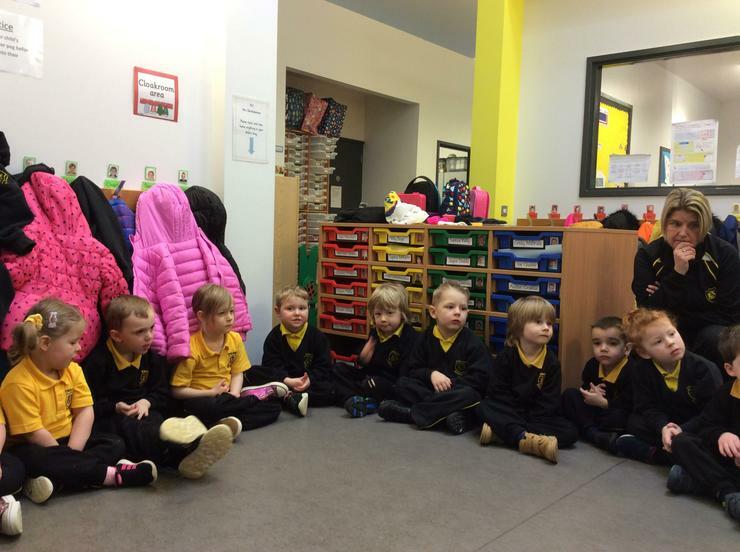 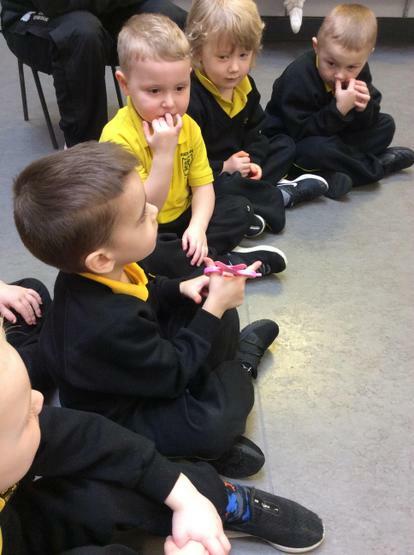 Throughout the month of February we are going to brush our teeth in Nursery before we go home each day!